Dracula Untold – thoughts and review, Oh My . . . Okay, I believe I’m a Paranormal Romance Connoisseur. Others would say I’m freak about the genre. However, I choose to believe that we all have little quirks. This is mine. I religiously read novels, watch movies and TV, and even go to plays of the Paranormal Romance genre. So, with that little bit of embarrassing fact being divulged, I’m going to share with you my experience from watching the new movie, DRACULA UNTOLD. I really loved the premise of this movie. Instead of the regular, run of mill evil Dracula . . . this Dracula had a mammoth cause to conquer. The relationship he has with his wife and child is loving and downright heartwarming. Yes, and I was brought to welling up as the story developed between the family. This story of Dracula was not of selfishness or wanton evil, it was about being able to protect your home and loved ones. I am always puzzled how villianized the Dracula story is, but this was a truly different take. Okay, now I’m going to tell you the truth! The main reason why I loved this movie is because of LUKE EVANS! Oh my . . . I mean, there are roles made for actors, and this was made for him. He excelled at it. Not only being my perfect vision of Dracula, his speech, actions, and mannerisms were spot on how Dracula would be. 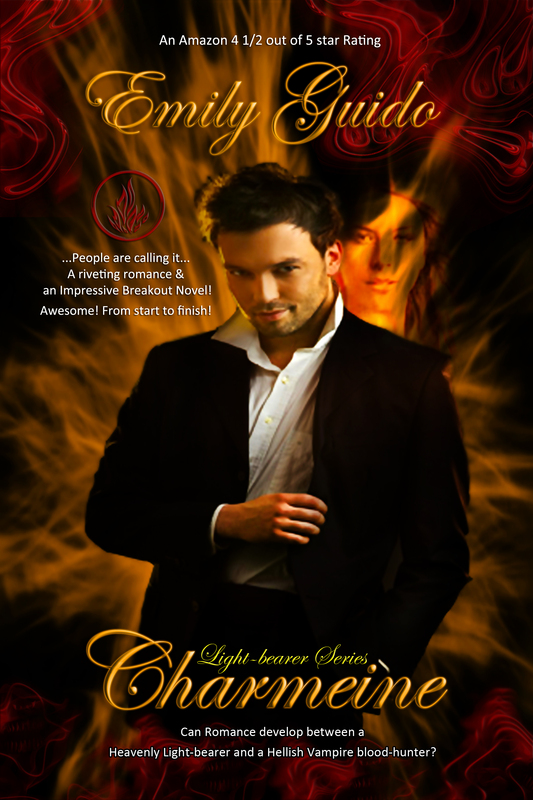 There is a character in The Light-Bearer Series, Dmitri, who the Dracul Legend was made from. Yes, I used the plot in my novels, but with a totally different twist. Luke Evans would be an excellent Dmitri! I was thinking during the movie, I wonder if he will play this role in my movie version of The Light-Bearer Series? Oh my . . .
Gary Shore, the Director did a fantastic job as the action was fast-paced and gripping. The cinematography and special effects were unbelievably good! I know a lot of the effects were CGI, but I couldn’t tell it. Some of my favorite movies have cheesy CGI and/or special effects. It really detracts from the story, these did not. I was suckered into believing a million bats can wage war against a hoard. The music by Ramin Djawdi is driving and compelled the scenes. It added to the artistry. Now, I watched this movie in IMAX with Surround sound. I realize that may have helped intensify the experience, but it was worth the money I laid down to watch it. For all this and more, I would say if you are a Paranormal fan, RUN, don’t walk to see this movie, DRACULA UNTOLD! If you are an action and historical fan, you would like this movie also. For my very, self-admitted addiction, I found this version of Dracula to be one of the best I’ve seen in a very long time! I’m adding it to the list right with John Badham’s, Dracula, which is my all-time favorite movie! See this movie before it leaves the theater, the small screen won’t give you the wonderful majesty this movie provides! The Trailer is below, but it won’t do DRACULA UNTOLD justice. I don’t think any trailer could! I will give this movie a rating of a 10 plus out of 10! This entry was posted on October 12, 2014 by THE LIGHT-BEARER SERIES author, Emily Guido. It was filed under Paranormal Romance, REVIEW, Uncategorized and was tagged with Amazon, Amazon Kindle, Angel, Angels, Arts, Author, Blood, Blood-Hunter, Book, Books, Dracula, Dracula Untold, Emily Guido, light bearer, Light-Bearer Series, Literature, Love, Luke Evans, Movie Review, Paranormal, Paranormal Romance, PDMI Publishing, Review, Romance, The Light-Bearer Series, Vampire, Vampires, Young-adult fiction. Awesome to hear this movie turned out well. I’ll definitely have to go check it out during my next break from the observatory. We saw Thais Friday night and I can’t agree more – awesome movie and yes!! He’d be perfect!! Great review, Emily. I don’t go out to the movies much, but your review is making me rethink that. Still on the fence about this one, but your review has given me pause for thought. Nice post. This sounds downright delicious. Hugs! Reblogged this on MARSocial Author Business Enhancement Book Review.